Do you invest in business projects? We are neither a financial investor nor a venture fund (VC). We promote investment proposals and set ourselves the task of delivering information to the widest audience of potential investors from Ukraine, United States, EU countries and Asia, using our unique media tools and specialized marketing and IR services. That is to say, we are the bridge between the investment seekers and the target investors. For small businesses (investment up to $ 100,000), we recommend using the advertising services or crowdinvesting. For small and medium-sized businesses (from $ 100,000 to $ 1 million), we recommend a complex approach to raise capital or selling businesses. For a larger business (from $ 1 million), we recommend an individual approach using the entire arsenal of services in the area of ​​investor relations. We would like to pay only success fee after selling a business / or raising investment, are you ready to help us? In our understanding, the process of finding an investor is an integrated approach and requires significant intellectual, human and financial investments. 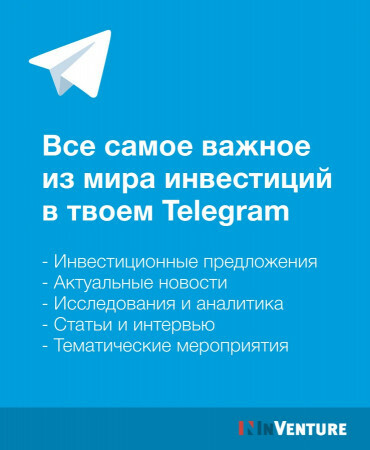 First of all, we are focused on the result and apply for commission from successful transactions, however, the initial costs of developing an investment memorandum, running advertising and information campaign, analyzing the market for potential investors and other necessary services have to be paid in advance. Joint sharing costs of the process of raising nvestments is a guarantee of the seriousness of intentions. Our contribution to the transaction is the use of effective sales tools, databases, intellectual and communicative skills to provide access to a potential investors, persuasion and justification of investment expediency, upholding your interests under the terms of the transaction and supporting until the closing of the transaction. What is the procedure for raising capital investment / sell of business? - Preliminary consultation with Inventure experts. - Signing a contract to raise investment. - Preparation of professional documentation (investment memorandum / teaser). - Advertising and promotion of the investment proposal. - Analytical researches - formation of the target audience of investors. - Promotion and presentation of investment proposals to investors. - Joint negotiations and discussion of the terms of the transaction. - Structuring of the deal and support of the transaction. What is the guarantee that you will find an investor / sell a business? We value our reputation and do not give out guarantees, because the process of raising capital or selling business carries a lot of factors beyond our control: starting from the degree of investment attractiveness of the project / business, the selling price of the business and the conditions for raising investments, up to the macroeconomic situation in the country. 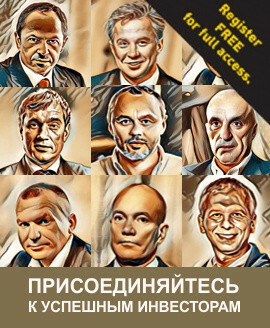 The comparatively high probability of the success of our work is confirmed by the use of professional approaches in the sphere of raising capital and investment tools, successful experience in selling a large number of businesses and conducting investment transactions, a professional team of investment managers. 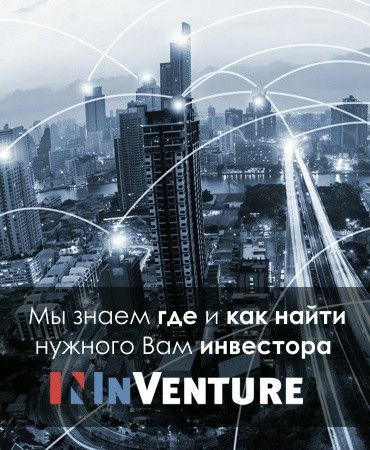 More than 500 applicants for investments and business sellers used the professional services of InVenture. Unique and modern technologies in the field of investor relations have provided direct access to potential investors for more than 350 of our clients. As investment advisers, we accompanied more than 35 mergers and acquisitions (M&A deals) and debt financing in the interests of our clients.